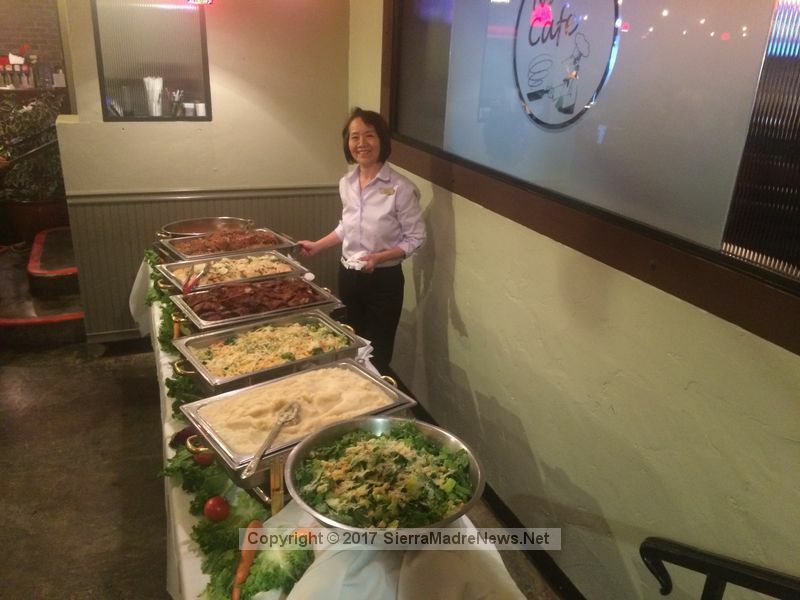 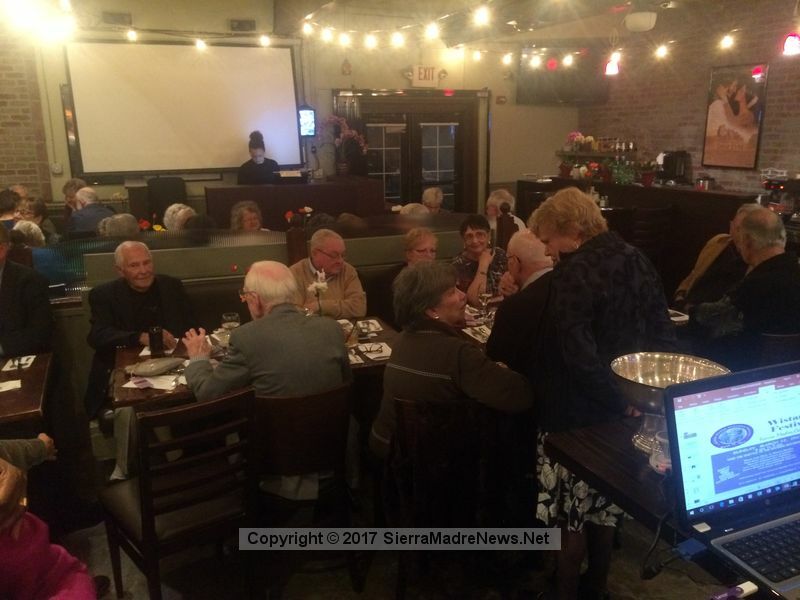 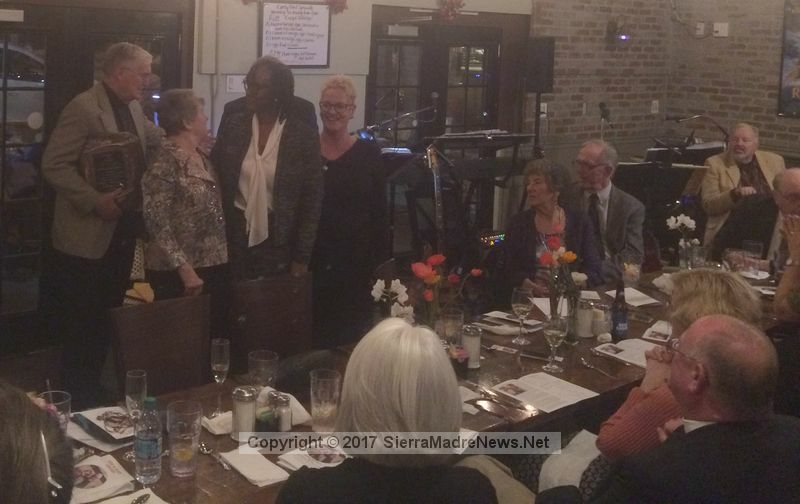 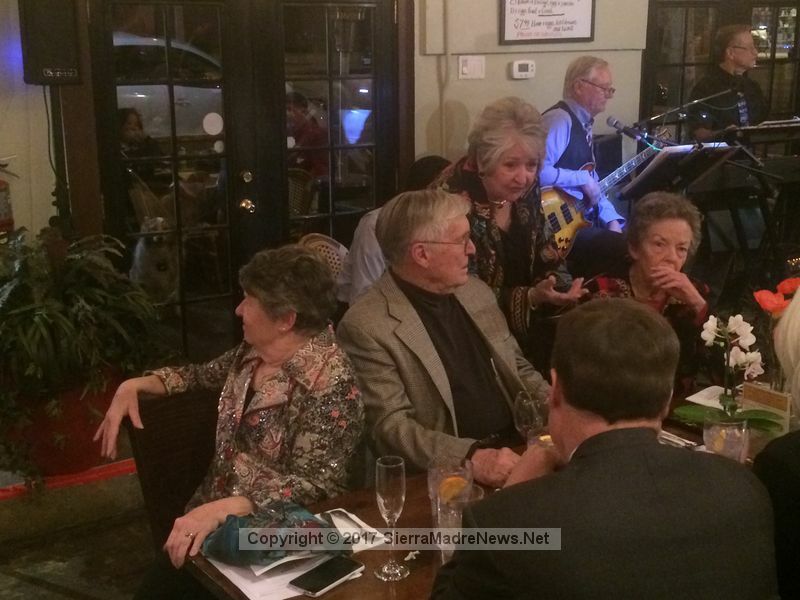 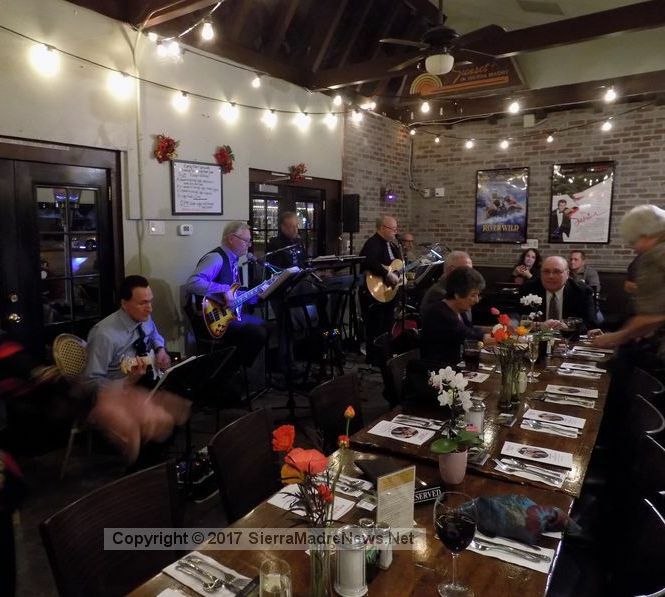 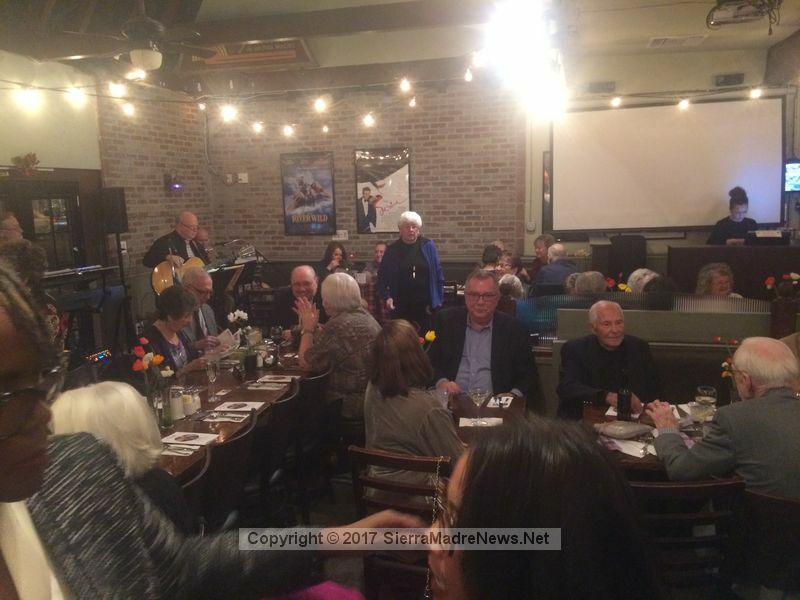 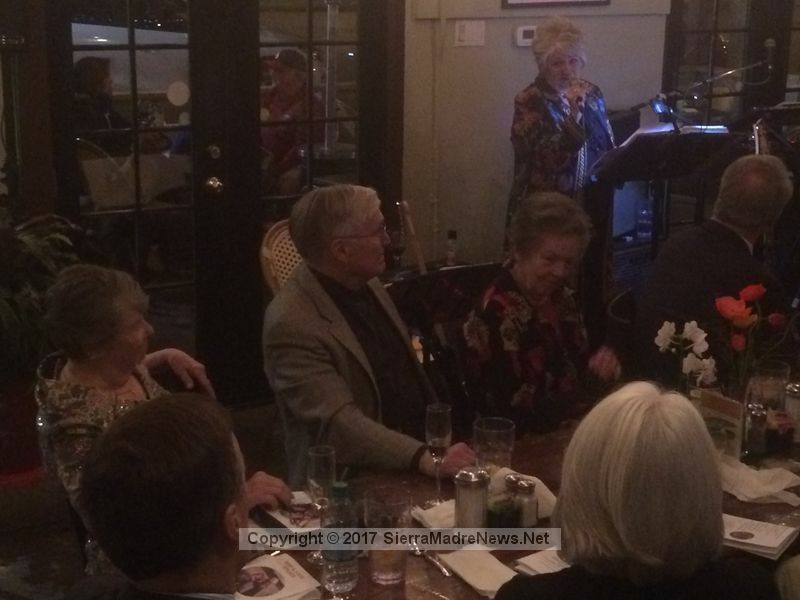 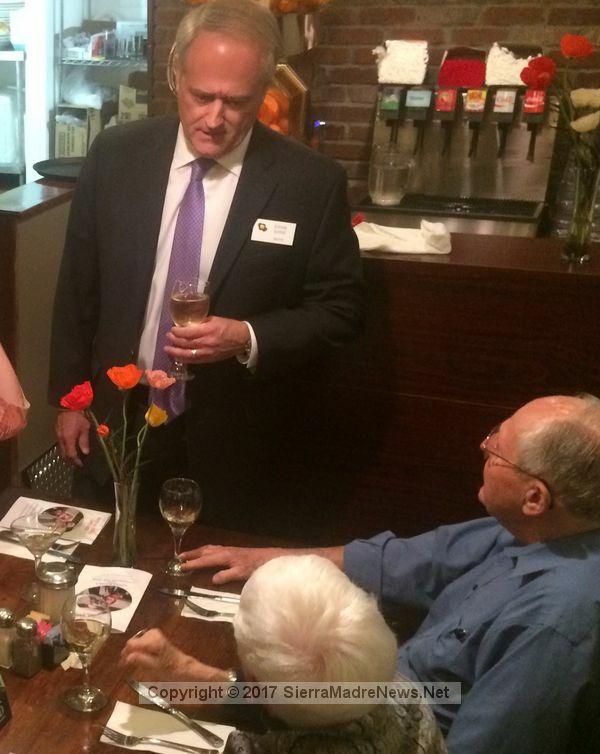 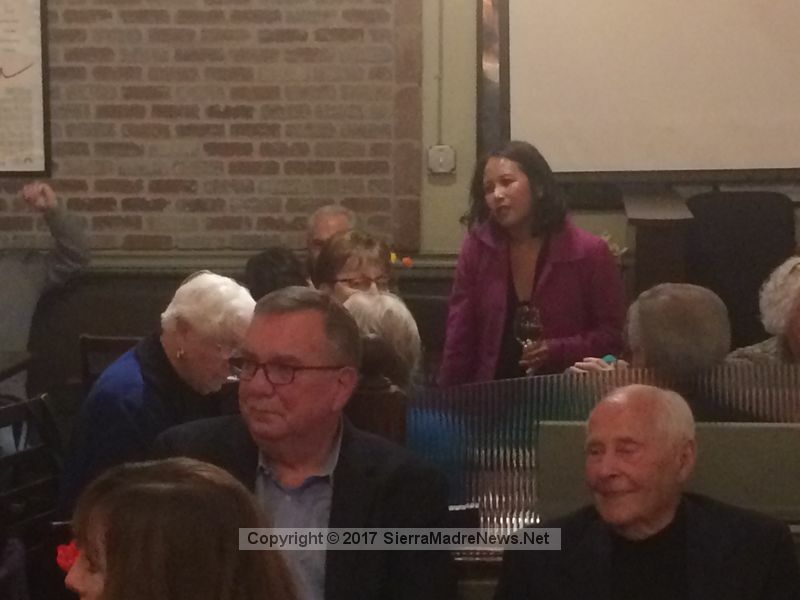 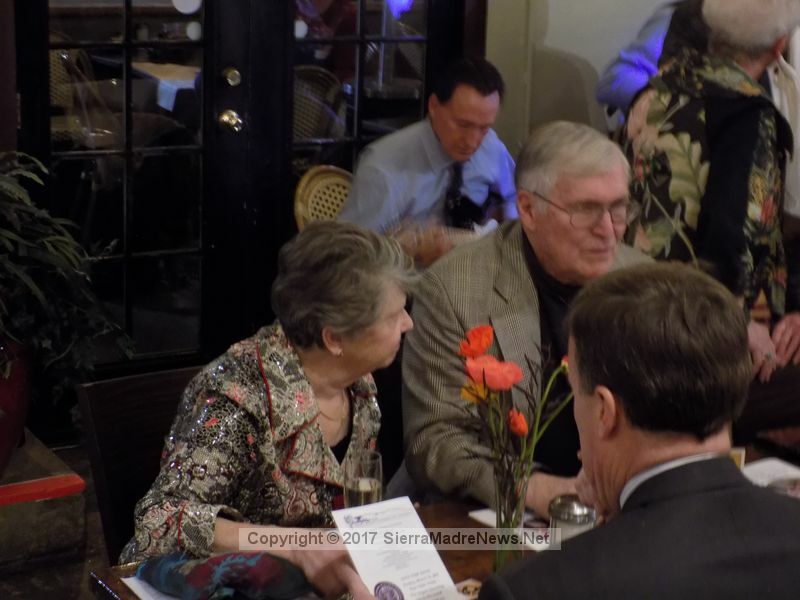 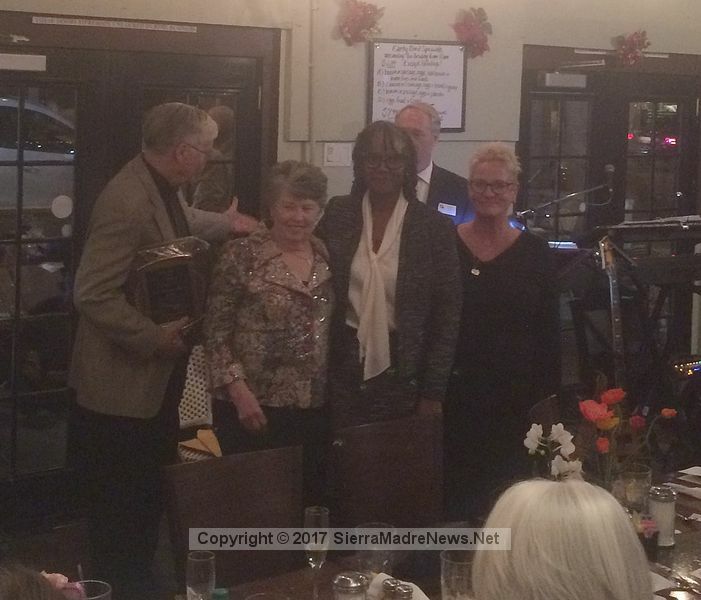 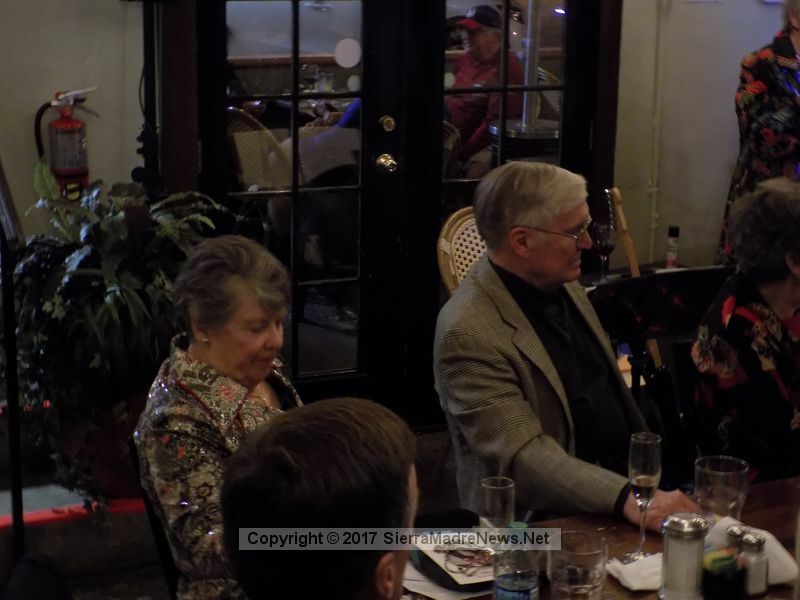 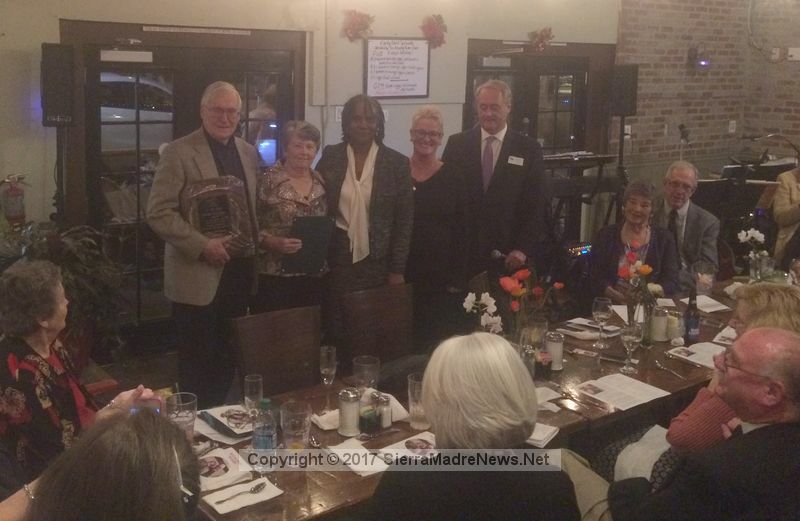 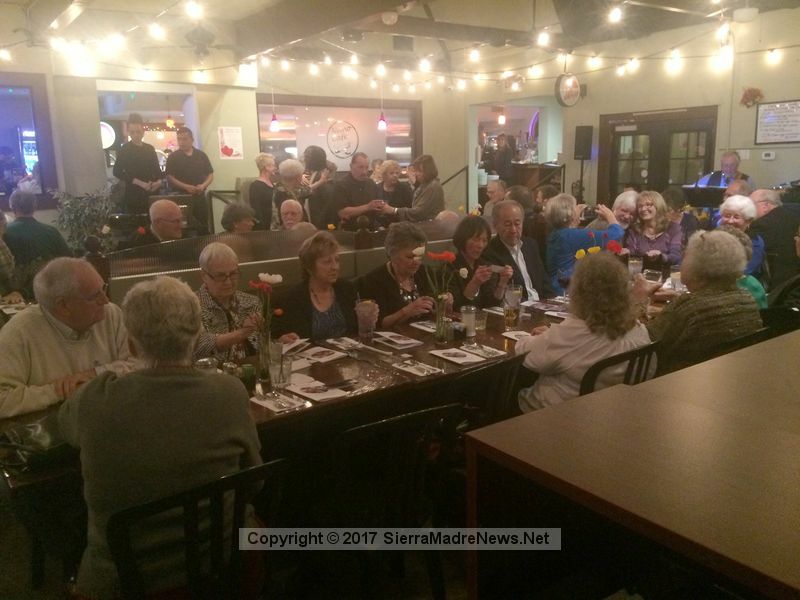 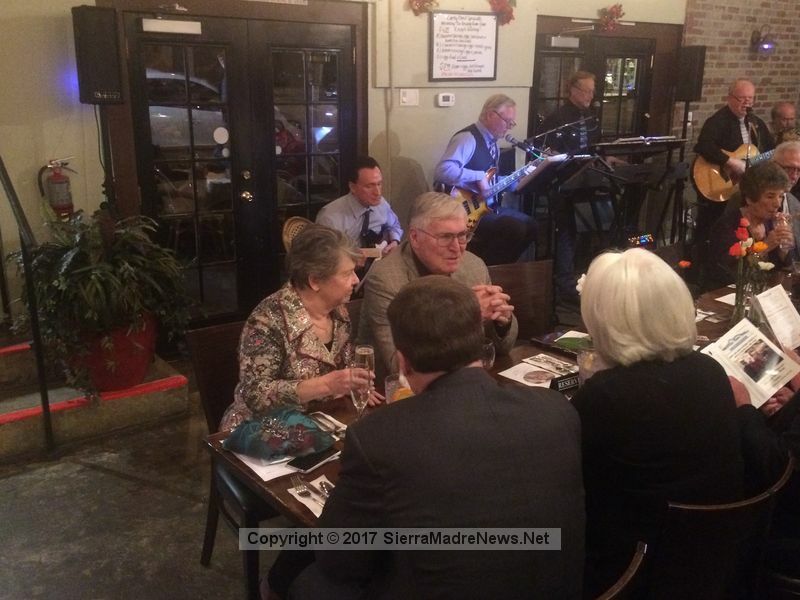 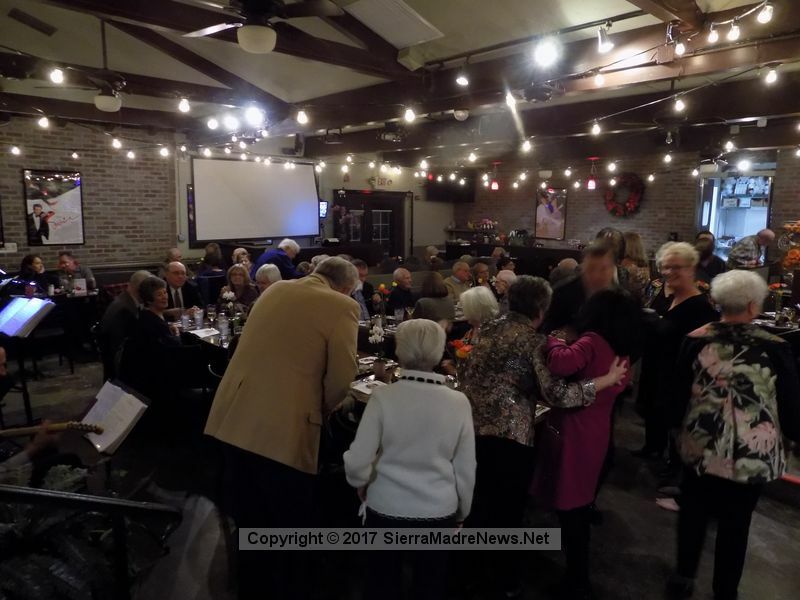 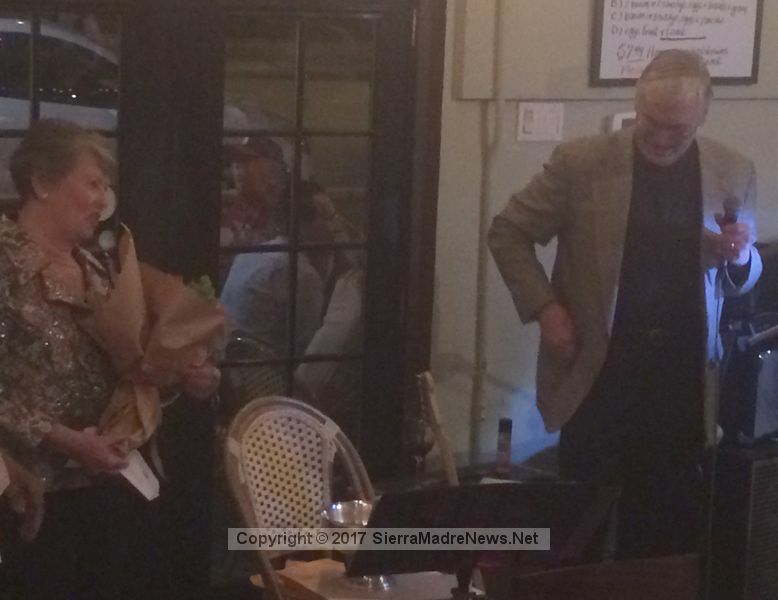 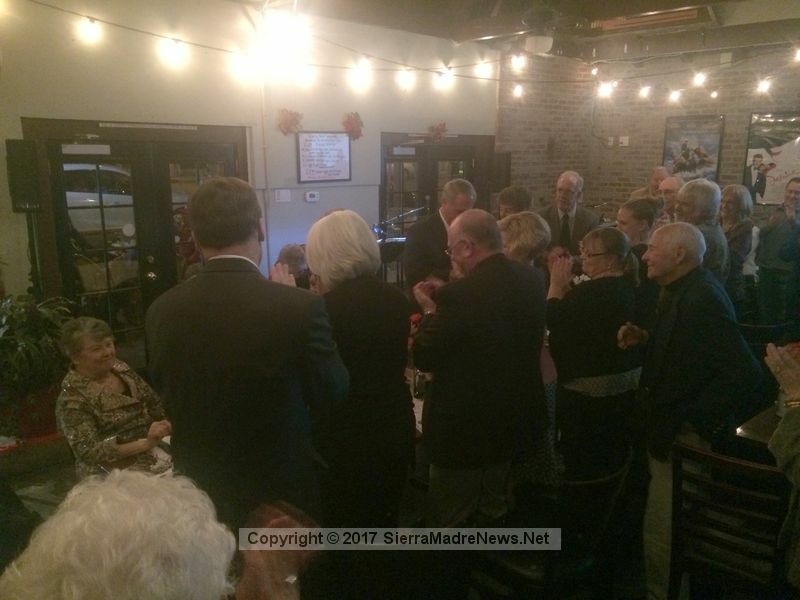 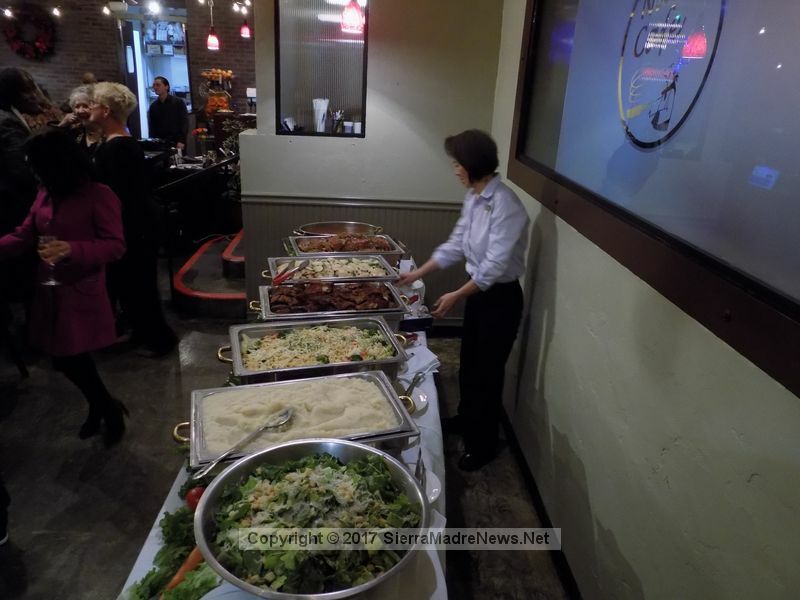 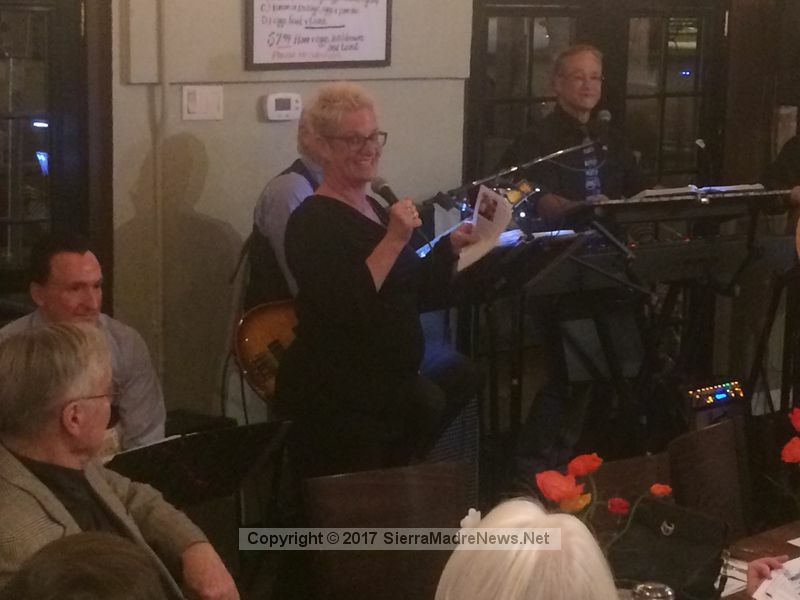 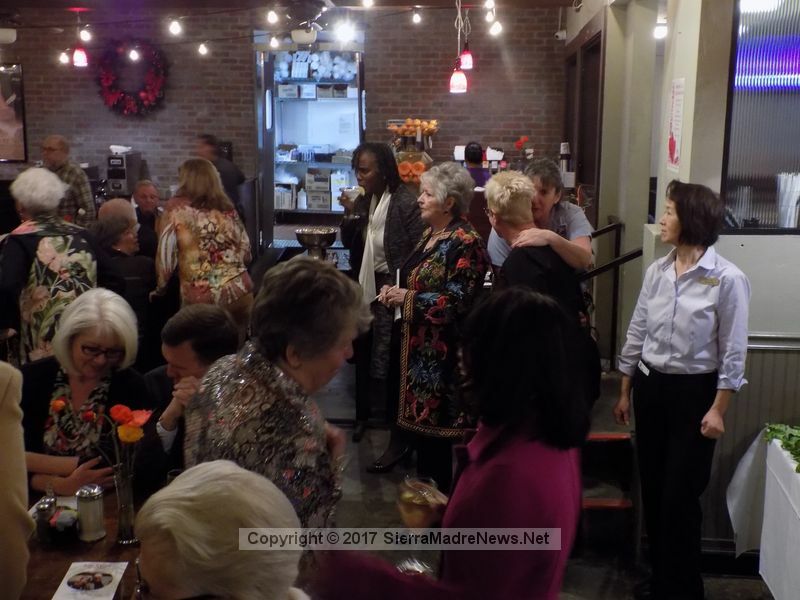 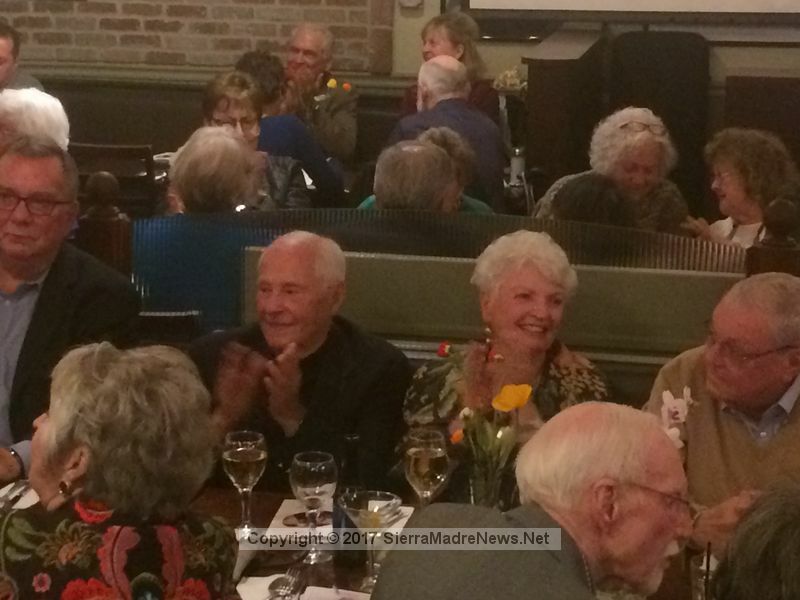 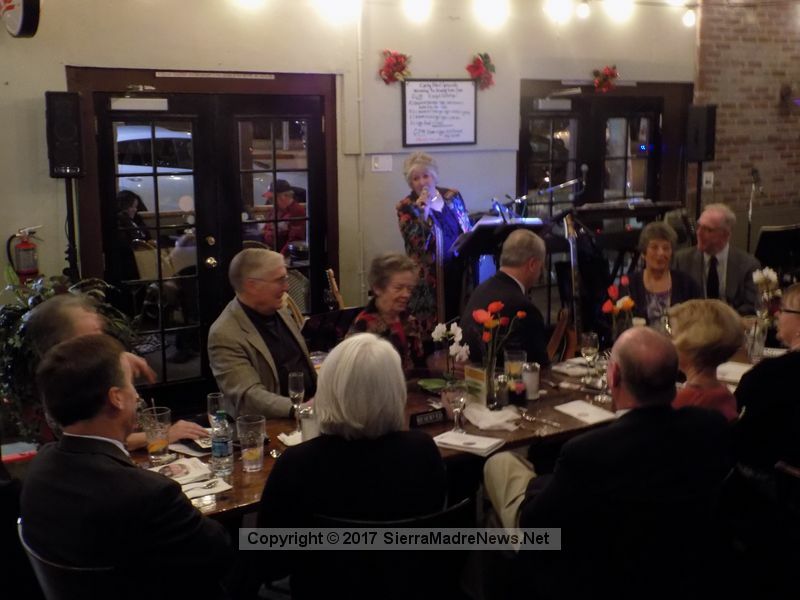 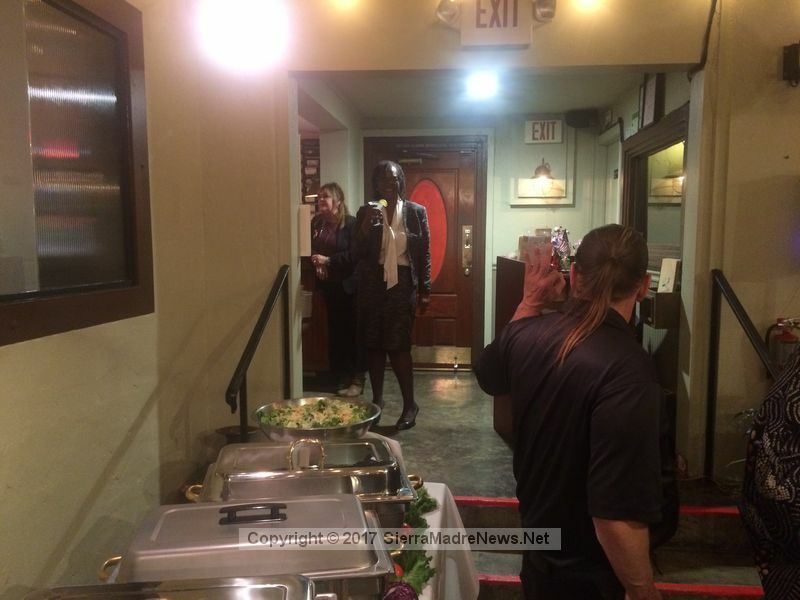 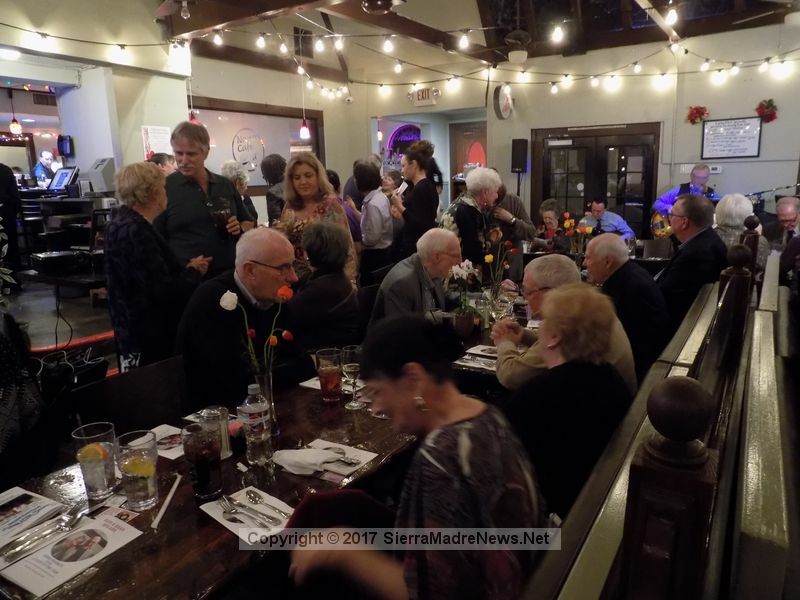 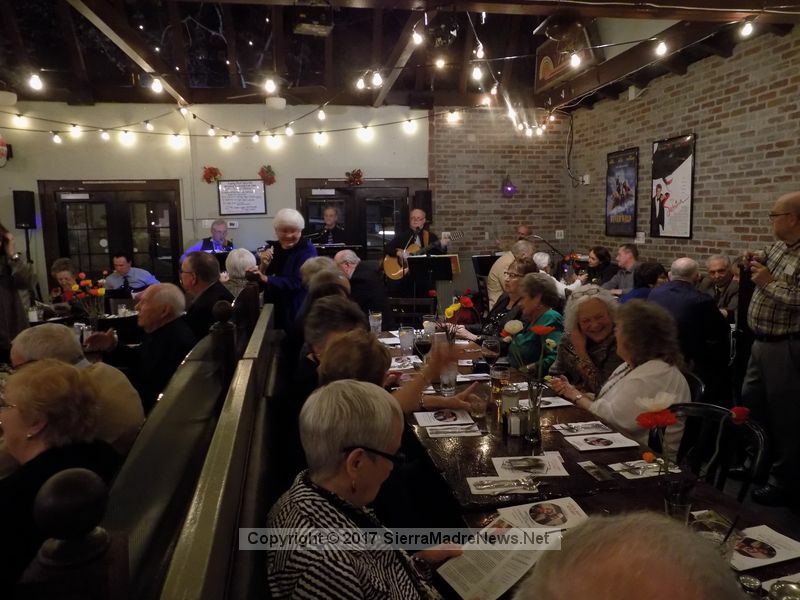 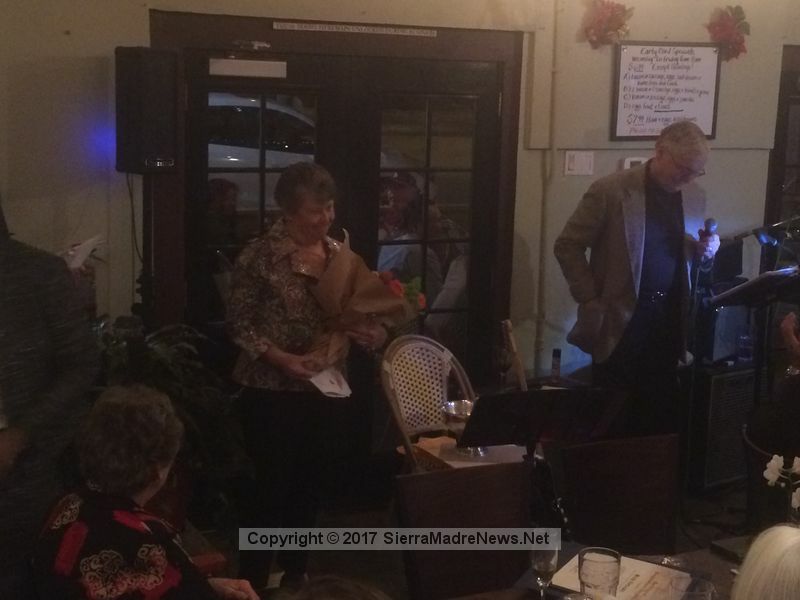 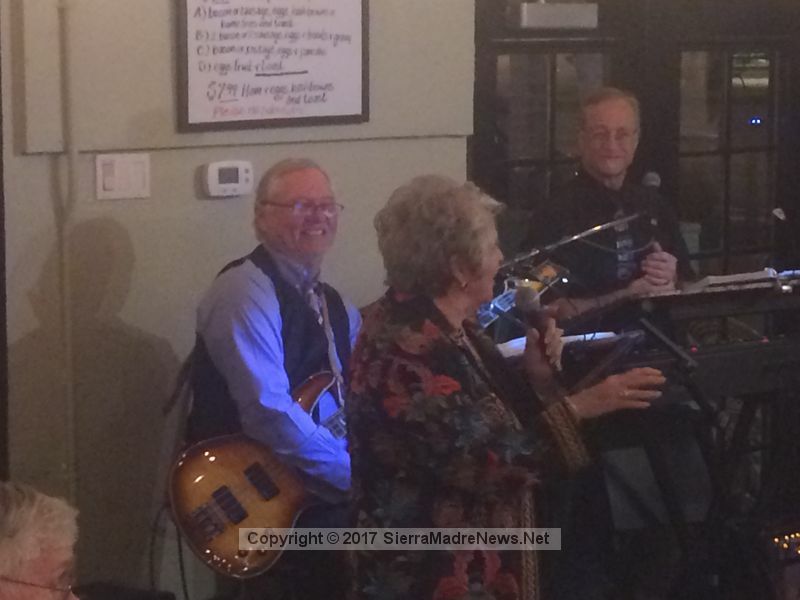 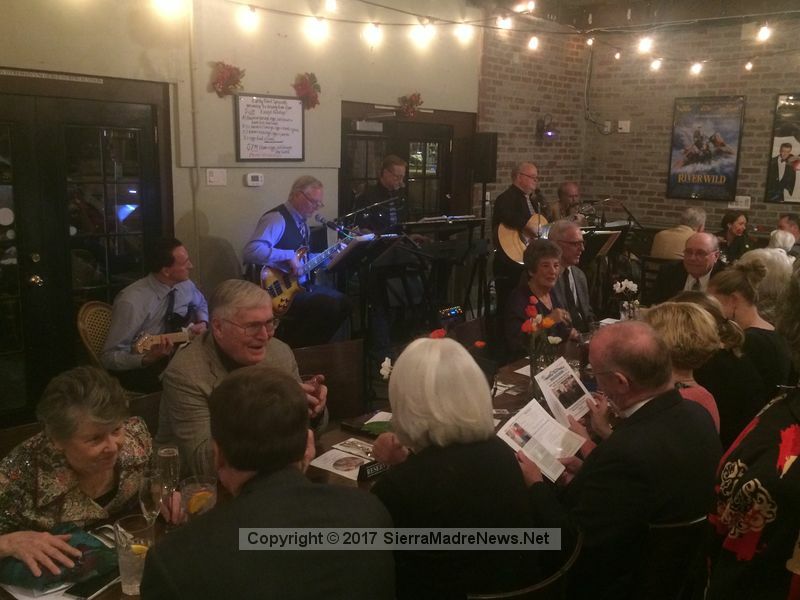 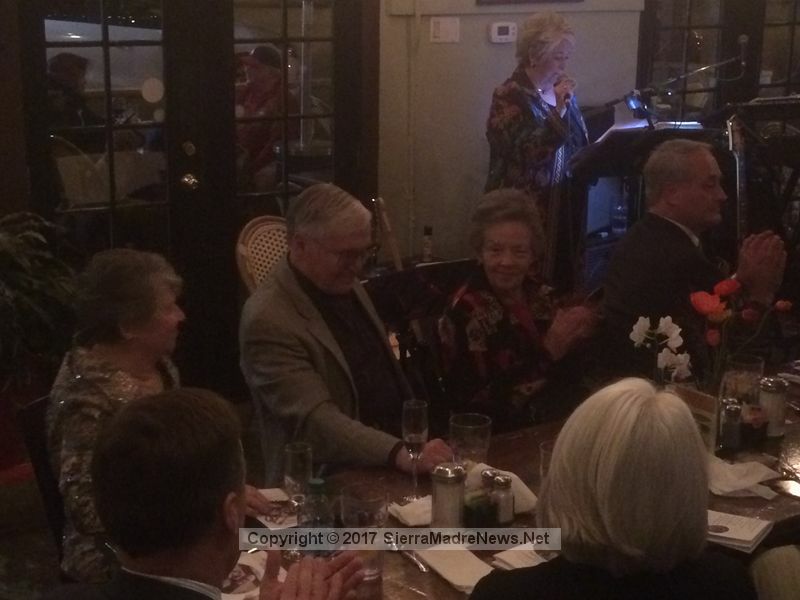 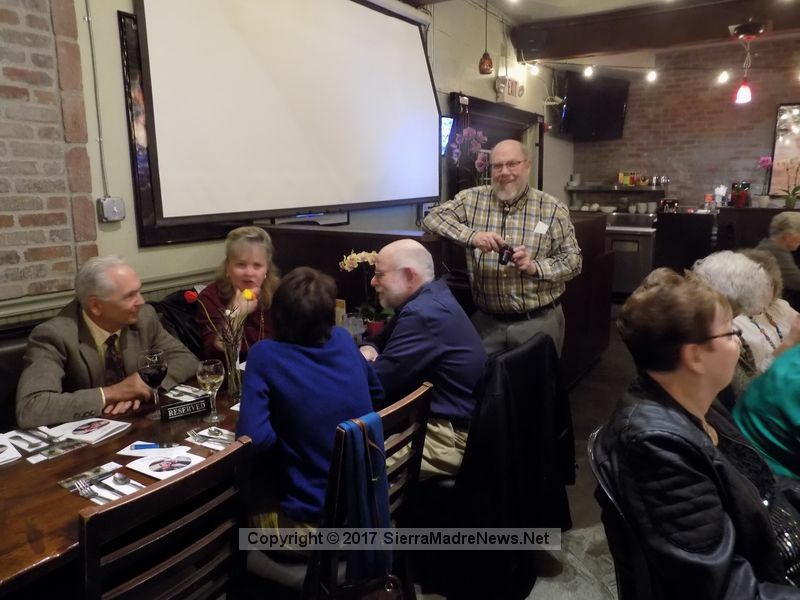 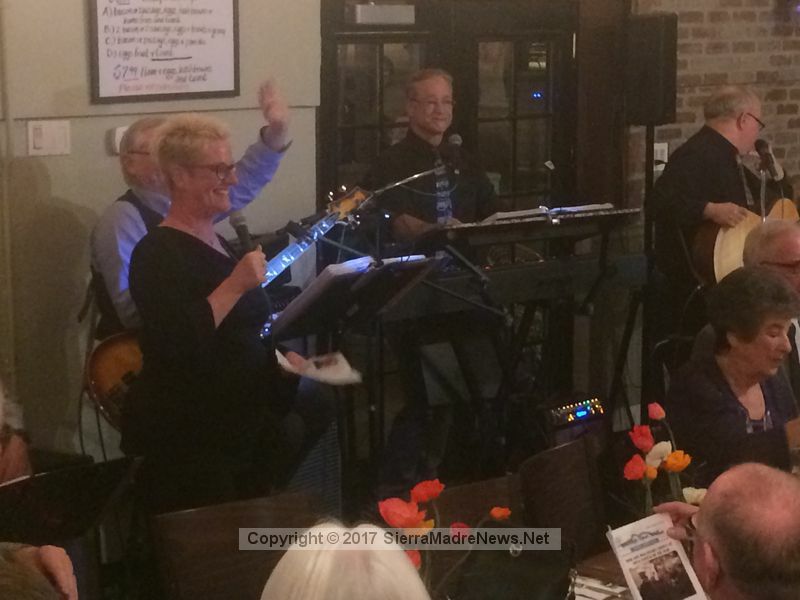 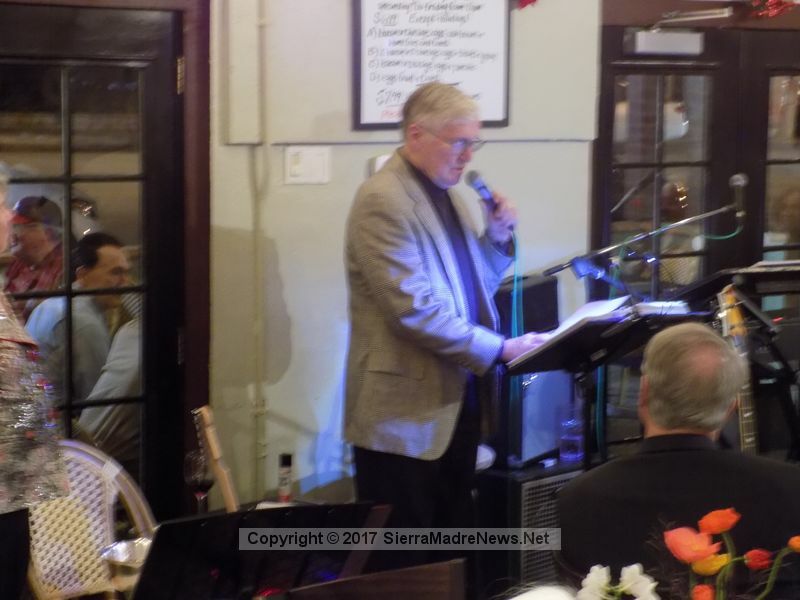 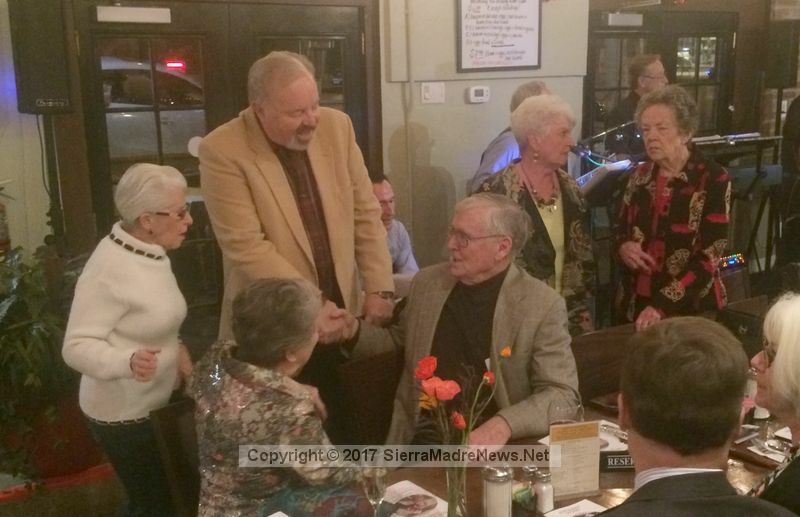 Posted 2/3/17 – The Sierra Madre Chamber of Commerce and approximately friends and family turned out to Nano Cafe to celebrate the recognition of Rod and Joan Spears as Citizens of the Year for 2016. 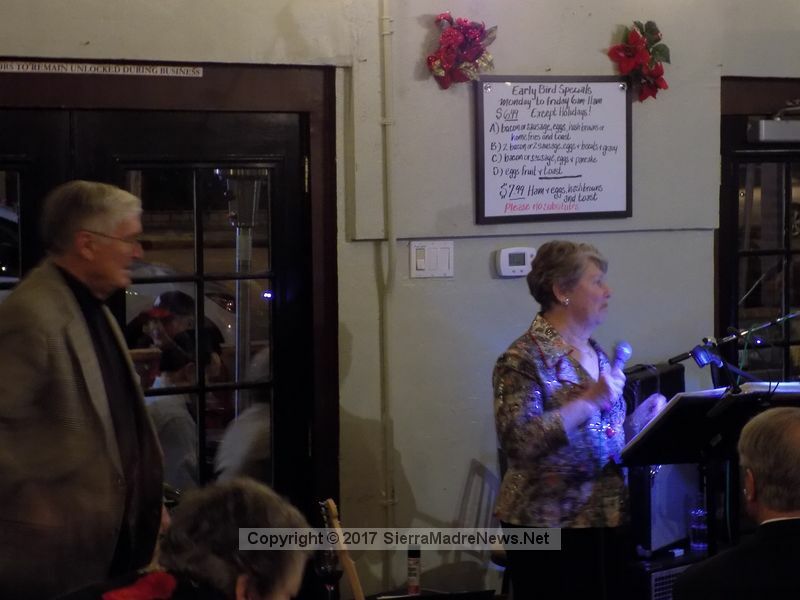 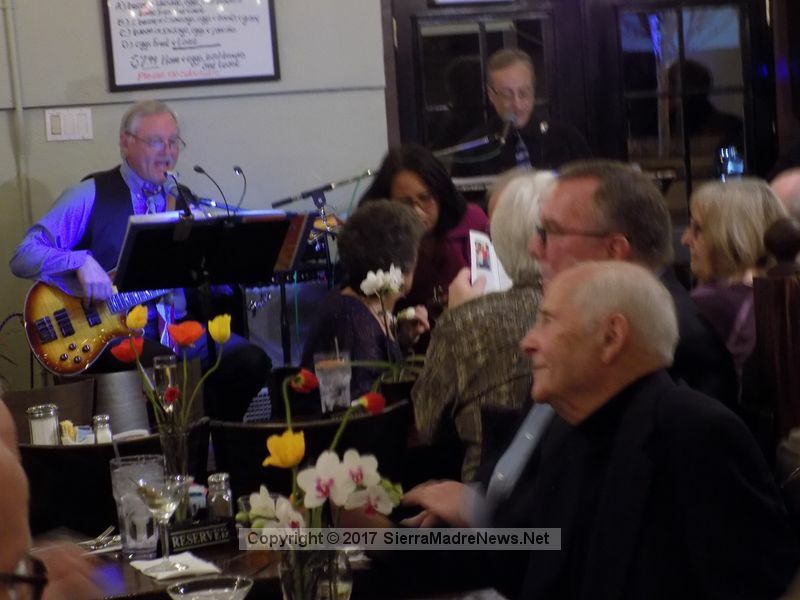 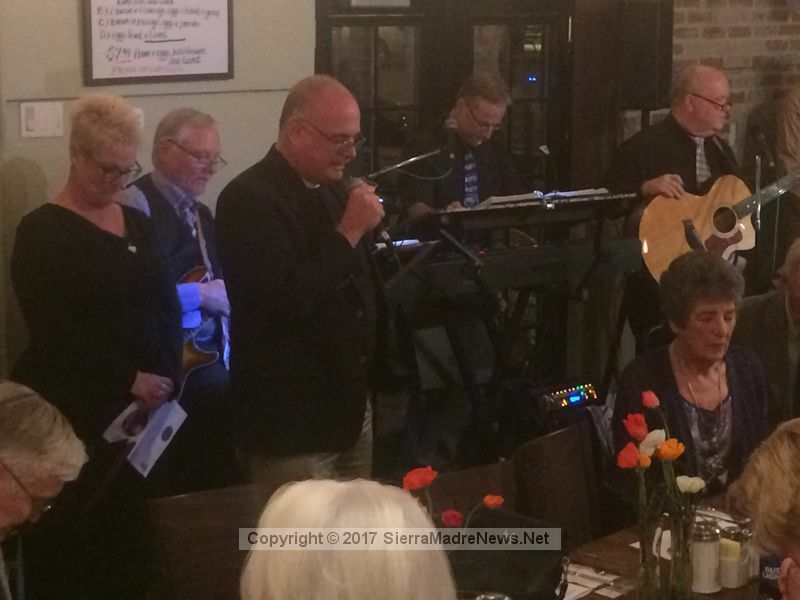 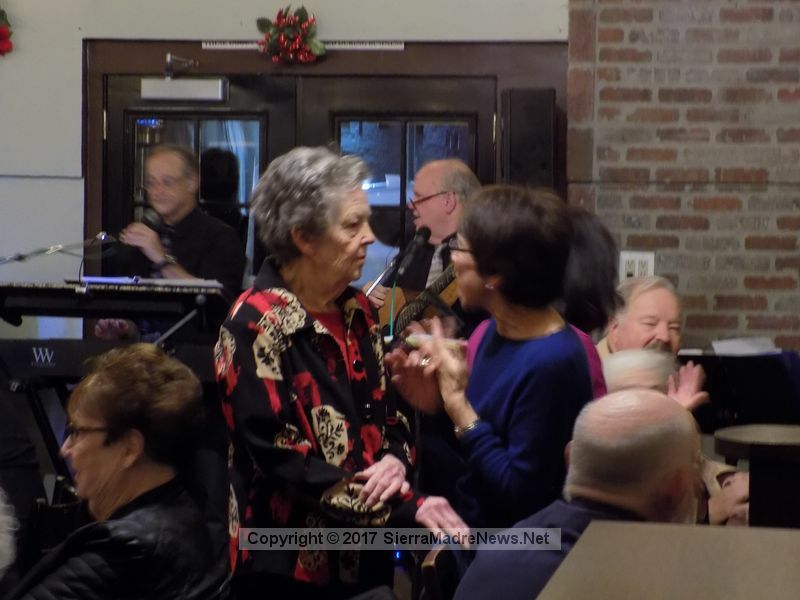 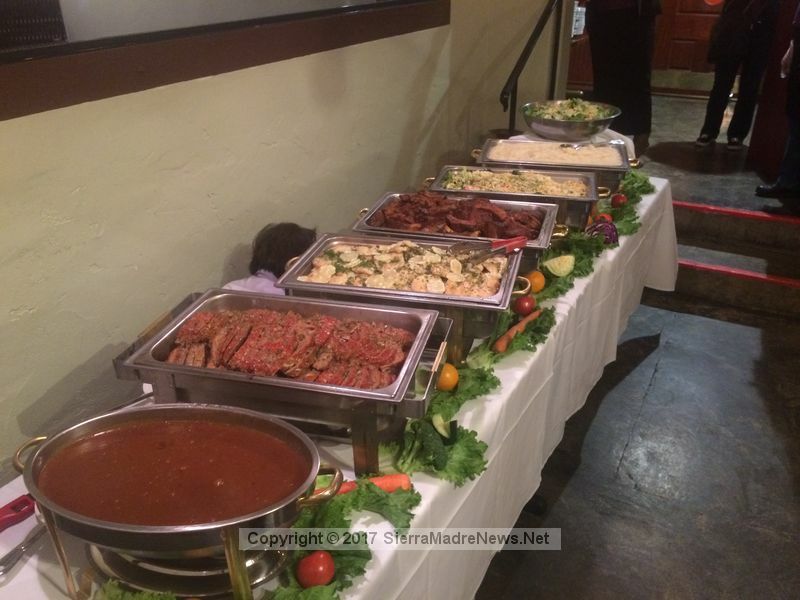 A buffet dinner and entertainment by JJ Jukebox kept the crowd happy as the Spears’ were lauded for their contributions to the City in 2016, as well as since their arrival here in 1999. 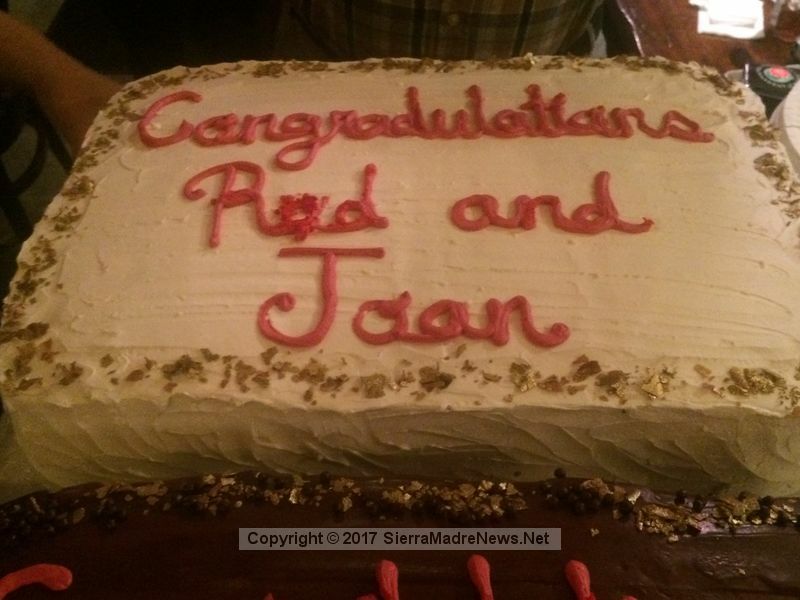 Currently, Rod sits on the Library Board of Trustees and Joan is a member of the Senior Community Commission. Rod served for many years as a member of the Sierra Madre Volunteer Fire Department, and was instrumental in setting up the Community Emergency Response Team (CERT). 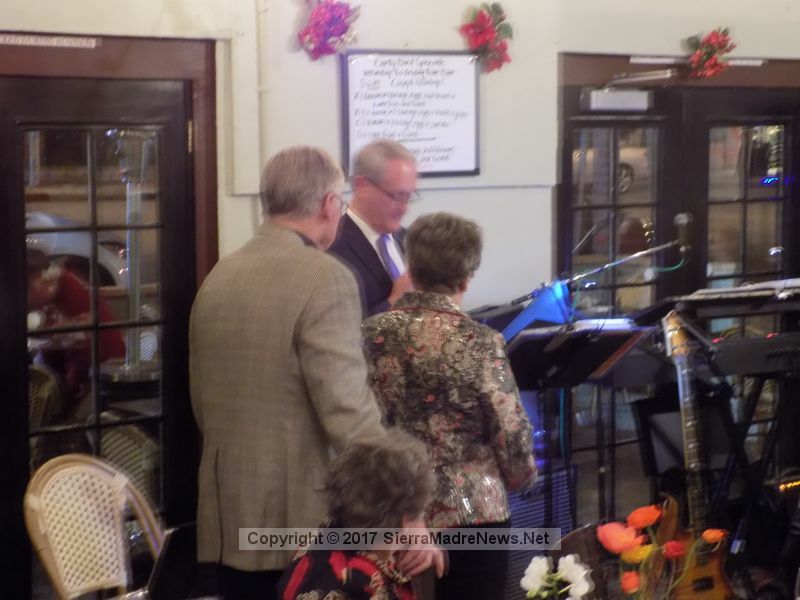 In addition to these efforts within the City, Rod was recognized by President Lyndon Johnson for his work in the Civil Rights effort, and was a member of the team that responded to the bombing in Oklahoma City by Timothy McVeigh. 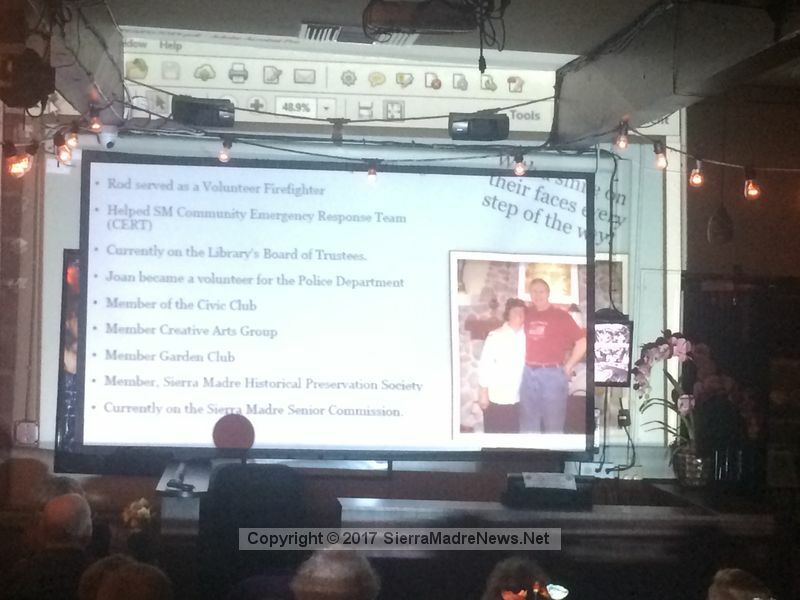 Joan has served and/or is serving as a member of the Sierra Madre Police Department Volunteers, the Sierra Madre Civic Club, the Sierra Madre Garden Club, Foothill Creative Arts Group and the Sierra Madre Historical Preservation Society. 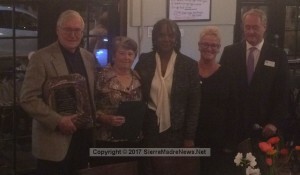 Rod and Joan received commendations from the City of Sierra Madre, the LA County Board of Supervisors, the California State Assembly, Congresswoman Judy Chu, and the Chamber of Commerce. 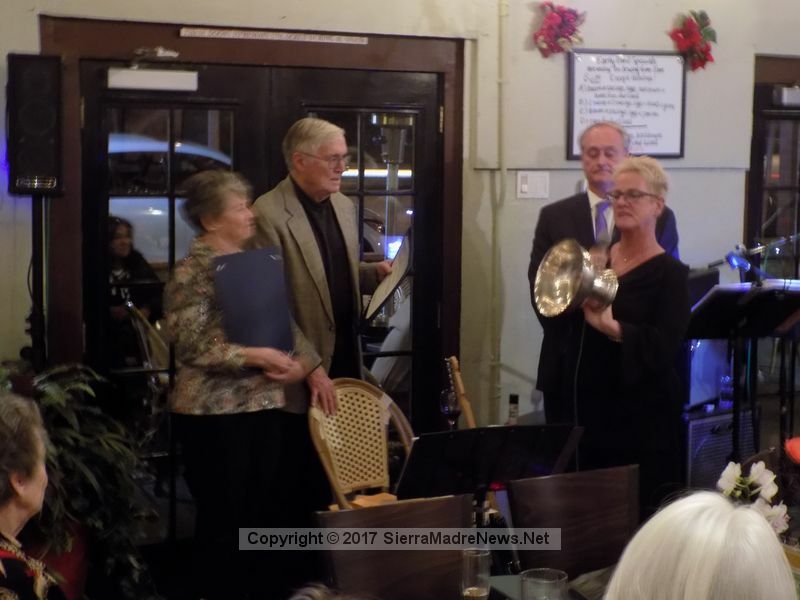 The Citizen of the Year award is granted to an outstanding Sierra Madre resident(s) who best demonstrates the town’s spirit of volunteerism during the year. 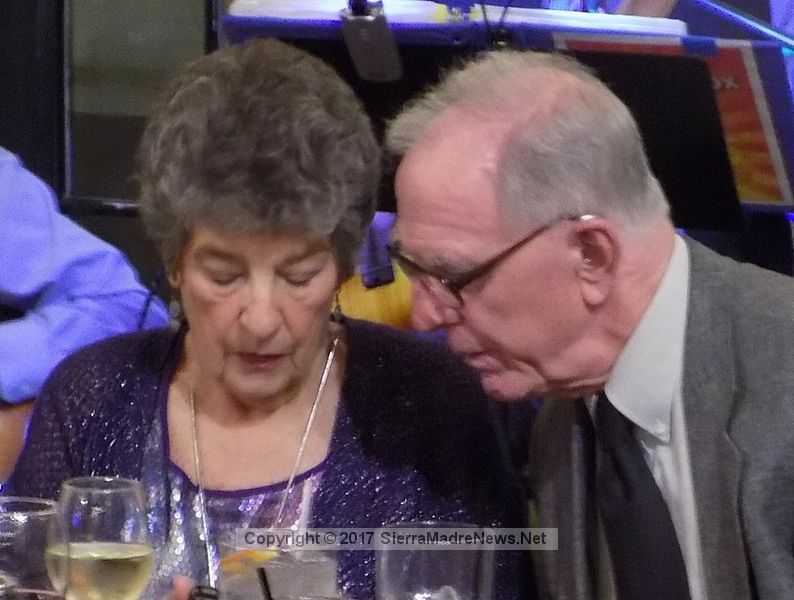 Enjoy the photo gallery, best as you can, since the quality is disappointingly poor. 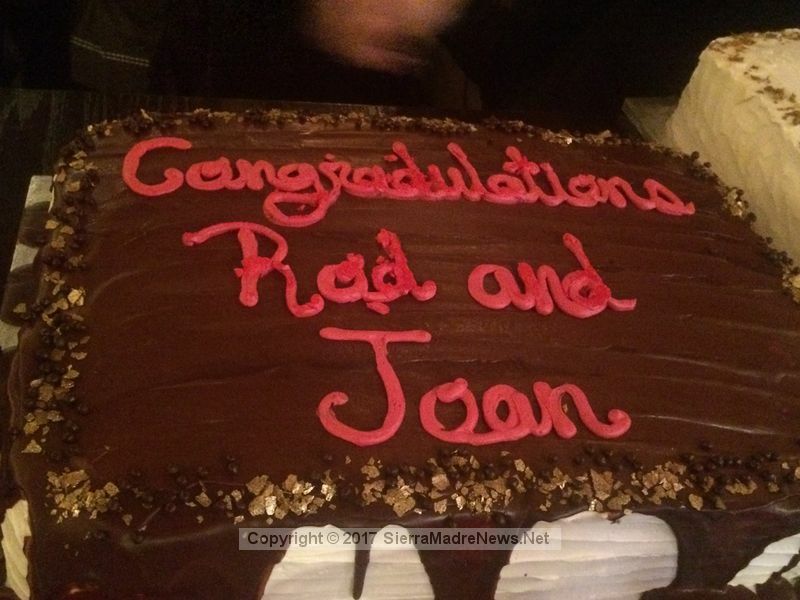 My apologies to Rod and Joan. 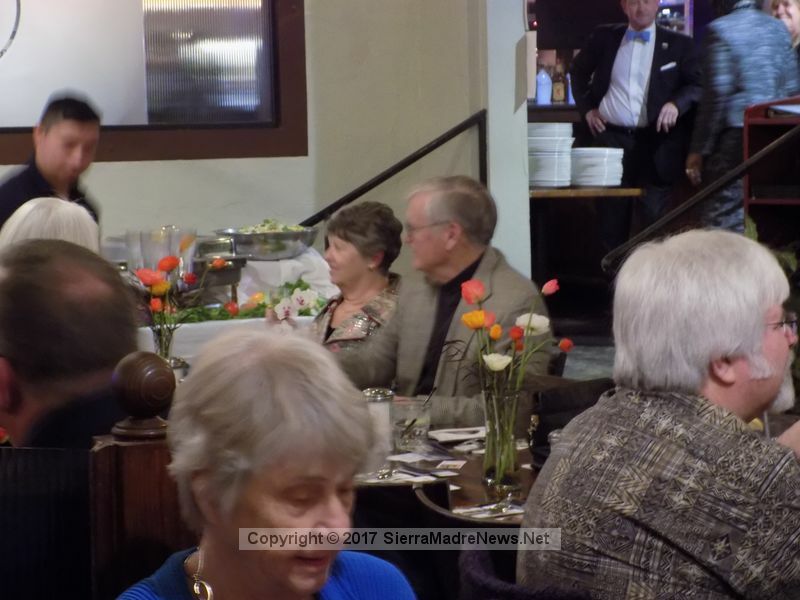 Eventually I’ll probably get around to editing and posting video, as well.